THIS BOAT IS ONE OF THE SHARPEST YOU WILL FIND. THIS THING HAS THE LOOK, THE SOUND, AND THE PERFORMANCE YOU HAVE BEEN LONGING FOR. COME LOOK AT THIS BOAT AND YOU WILL FALL IN LOVE! MEASURING FROM THE FRONT TO REAR THIS BOAT MEASURES 21.5 FT LONG. 9 PERSONS CAPACITY. GIVE ME A CALL IF YOU NEED MORE INFORMATION AND I WILL DO MY BEST TO ANSWER ANYTHING YOU NEED TO KNOW. 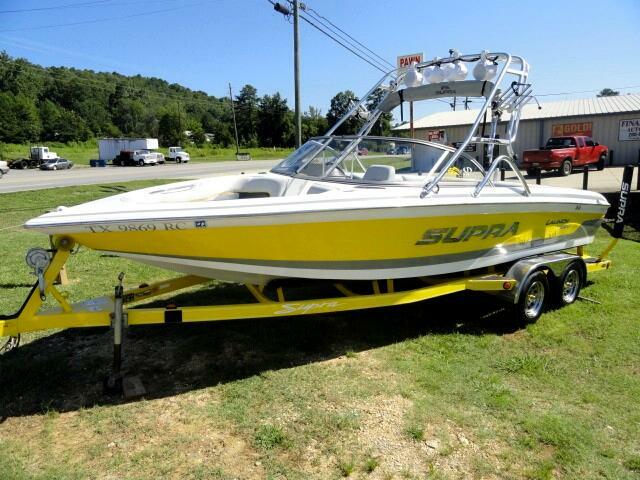 Message: Thought you might be interested in this 2004 Supra Launch 22SSV.